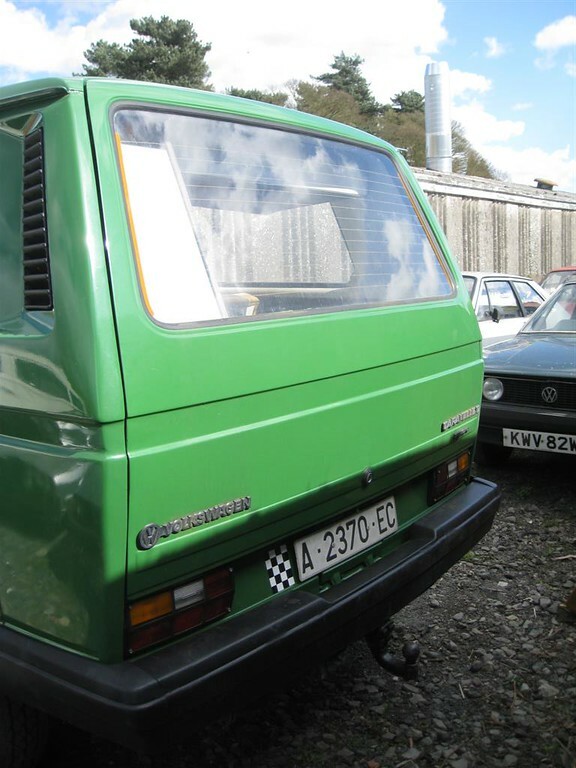 As many of you know I have been on the hunt for a Syncro for quite some time, well the other week myself & Si went to look at one in Notts. 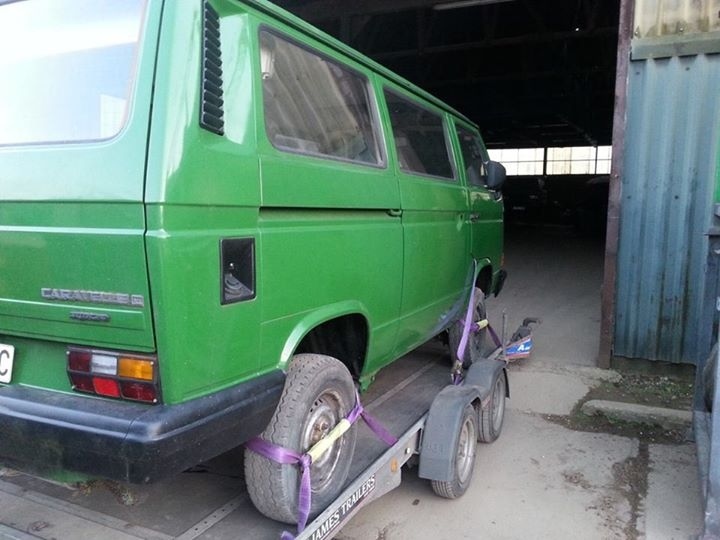 Si offered an excellent pre-purchase inspection service, and I walked away the proud owner of an excellent Green Syncro. I confess I have a slight leaning towards the green so finding one in Escorial Green was a real brucie bonus! Its currently a 1.9, soon to be a 2.1 DJ, front & rear diffs. 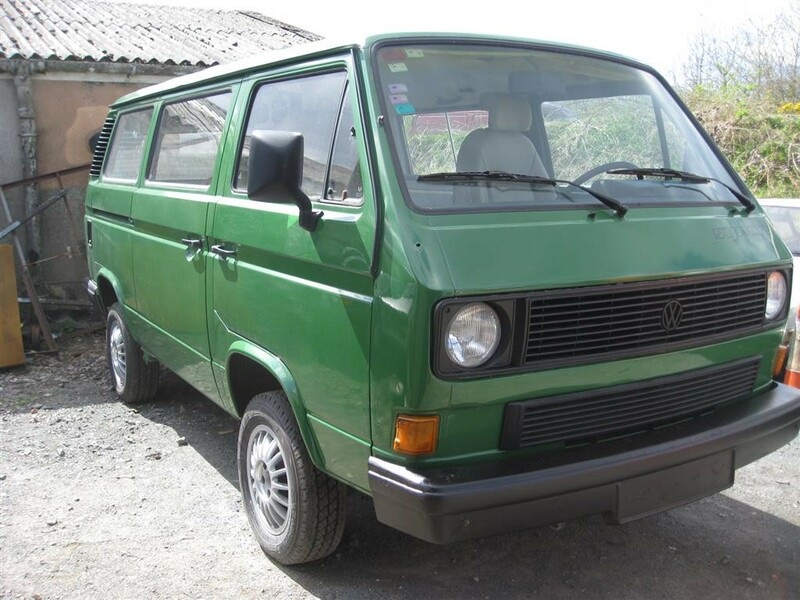 The seller told me its been in the UK for about two years but its not been registered as yet, I will be the first UK registered owner I just sent the VIN off to VW for more info but we think its an1986 or 87 van. I'm planning to do the Westy conversion at some point. At the moment its in safe hands ready for the work to commence in the not too distant future. 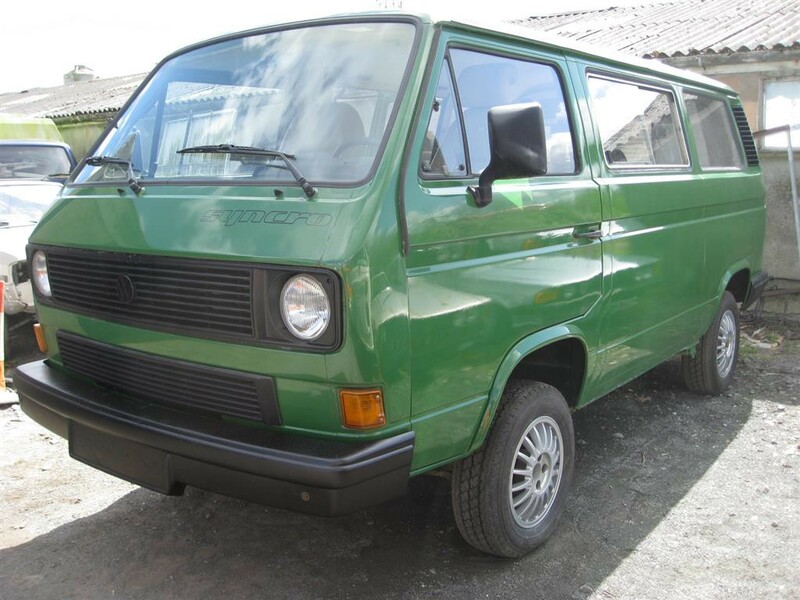 Last but not least a Big Thanks to all the members who gave me the heads up about vans when they popped up on various sites and sent me loads of information about their Syncro owner experiences. Also a big thanks to Guz who gave me the heads up about the van, very much appreciated, I look forward to buying you a beer at some point. I shall pop up some more news and pics as the work progresses and I'm sure I'll be asking a ton of questions For now a few pics. Last edited by irishkeet on 15 Oct 2018, 16:19, edited 20 times in total. 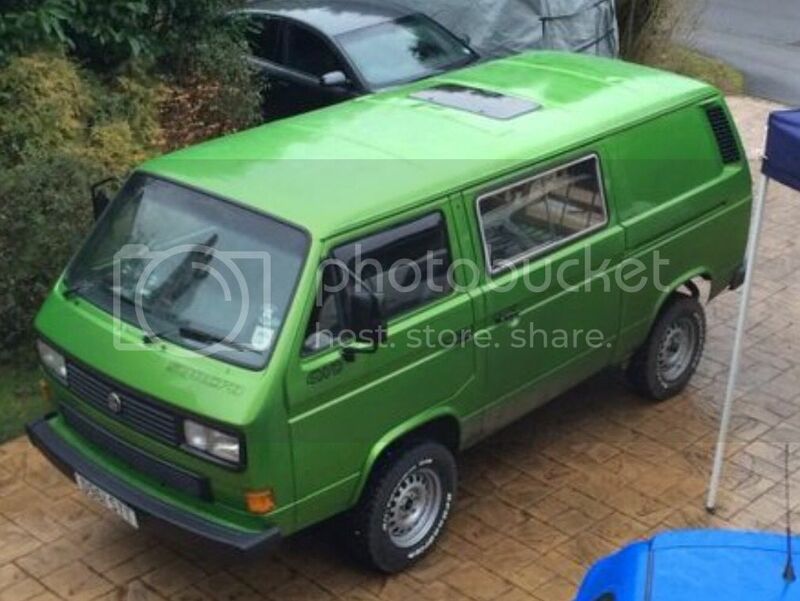 Re: Well I've gone and got myself a Syncro and its Green!!! Looks great bud, some nice Gucci bits on it already! How did you walk away without taking one of the mk1 roccos with you?!! Looks nice on the outside. Good result! Mendipidy in 2 weeks?? Nice find... are you going to go full westy? interior and pop top? Favourite colour. Looks great! Leccy heated mirrors very practical in the winter. it wouldn't have been right if it wasn't green! Well it feels like ages since I bought the van, work & life have stopped me managing to get too much done but Si has managed to source some goodies. Did a 350 mile round trip yesterday to collect a Westy Interior with the green fabric. 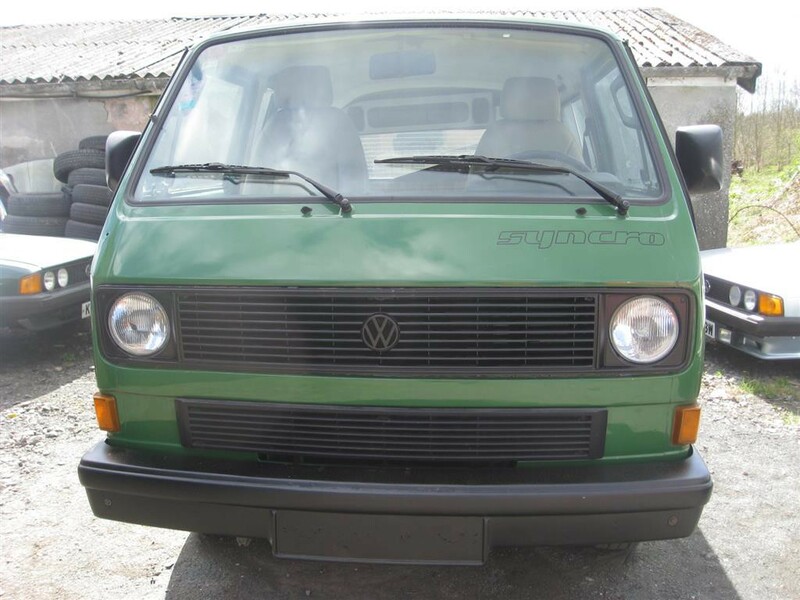 Had an interior with the blue stripe but the green will suit the van much better. Last edited by irishkeet on 01 Jul 2017, 06:29, edited 3 times in total. Love the look of the van. Best of luck with it.